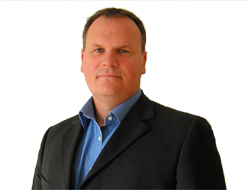 Chris is a strategic, business development sales and marketing professional with 20 years experience in B2B technology industries. Chris has experience across a wide range of technology sectors and has created and implemented numerous product and service business strategies and initiatives aimed at market expansion, new market penetration and new product/service introduction. Having a competitive product and service is a good start. The real difference to a company's success comes in the strategies you put in place, how you present your offerings, how you engage with and support your clients and partners and how you treat your people.